With our highly skilled team of technicians there is nothing that we shy away from. From a simple electrical fault to a more involved engine issue, we are comfortable and familiar with all things Morgan. 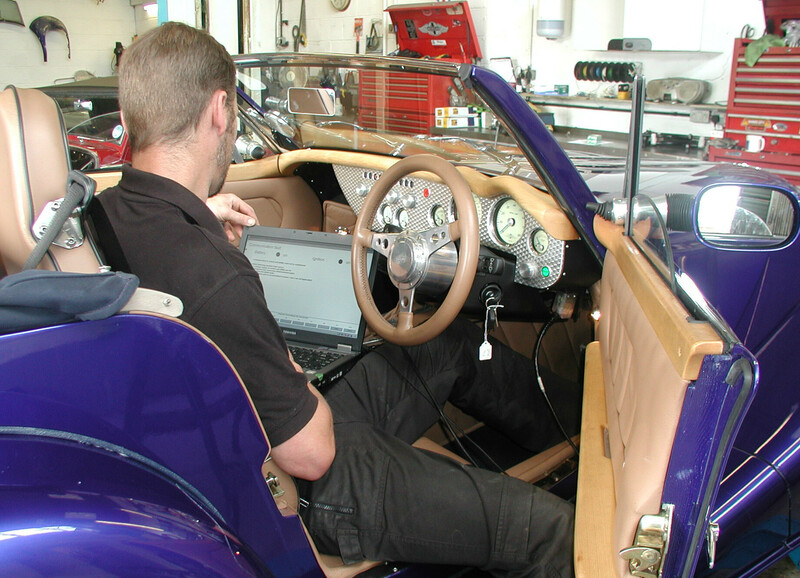 Our workshop is fully equipped with the latest Morgan Motor Company diagnostic equipment, which is used during routine maintenance service as well as involved fault finding. With the latest diagnostics and as a Morgan service dealer we are able to offer latest factory ECU flash updates from the GDI to the +4ss. Please call for me details. There are factory ECU updates that are available for your Morgan which will improve the driveability and/or reduce your emissions, however if you are keen to improve the overall performance of your Morgan Techniques are also able to offer other ECU upgrades. Please call for more details.